Today’s Native Leaders – UNITY, Inc.
TNL participant’s interact with DJ, Emcee One. The UNITY Today’s Native Leaders team recently traveled to the Lower Elwha Klallam tribal community in Port Angeles, Washington to conduct a peer lead community service project planning training session. Over the past three and one-half years, TNL staff has traveled throughout the country conducting culturally based, leadership training sessions for youth from communities such as Mentasta, AK, Hardrock, AZ, Bishop, CA, Presque Isle, ME and Livingston, TX. Preparations are well underway for the Today’s Native Leaders National Summit, to be held from 8:30 a.m – 5:00 p.m. on Thursday, July 6 at the Hyatt Regency Denver, Colorado Convention Center in Denver, CO. 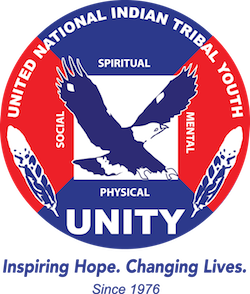 Please join UNITY alumni presenters Leslie Locklear, Lumbee, and Jared Massey, White Mountain Apache, for a webinar on Tuesday, June 6 at 6 PM ET entitled “Learn How to Shine in Front of an Audience!” Youth leaders will learn how to prepare a top-notch presentation with some simple tips from two young experts who have shared dozens of presentations. Youth are often times called upon to speak in front of an audience to share a message or speak about a community project. This webinar will help you hone your skills so you can effectively communicate your talking points. 2. Learn simple tips on how to organize your message. 3. Learn how to build a top notch Powerpoint. Please register HERE to participate in this important learning opportunity. 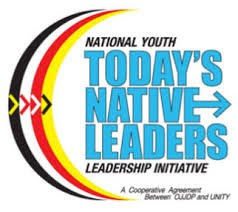 The last in the series of UNITYs Today’s Native Leaders training sessions took place on Friday through Sunday, April 7 – 9, in Danvers, Massachusetts, approximately 25 miles north of Boston. More than 60 youth from the Northeast region of the country and a group from Wisconsin gathered for an inspiring weekend of work dedicated to the betterment of their communities. FREE Youth Leadership Webinar Happening Today! Description: This webinar focuses on how you can get the attention of news agencies in your area. Participants will learn how to write an effective news release and prepare youth for media interviews. Presenters also will discuss various techniques for garnering the media’s attention for the positive things youth are doing.